Home / How to save money on a long-distance move? Is it possible to save money when relocating long distance? This is a tricky question bugging all the people who have been dealing with moving internationally. After all, what pushes your buttons is the price tag. A long-distance move does sound expensive, though. There are some alternatives to costly moving. Having been pondering the relocation ins and outs, you might realize what you can pay for less. Has it ever occurred to you that a penny saved is a penny earned? That’s why you need to consider all the moving-related expenses carefully. Knowing this, here’s our professional list of ways to save money on a long-distance move. To save money on a long-distance move, all you need to do is calculate the expenses of it all. The most budget-friendly way to tighten the belt when moving is to opt for a portable moving container renting. 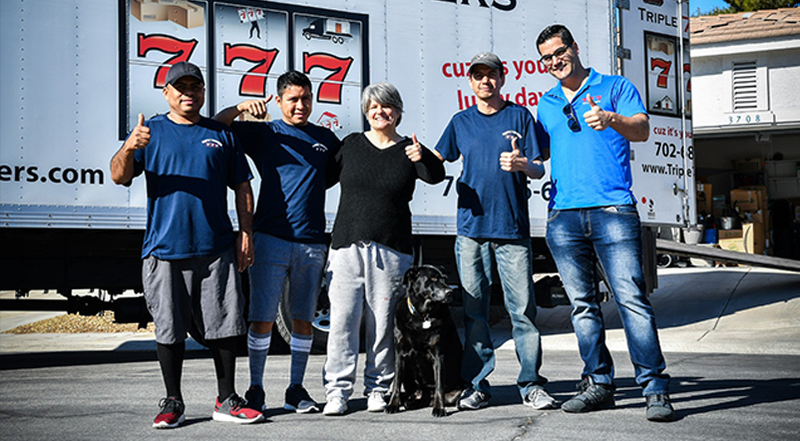 But, you need to be sure this is cheaper than hiring long distance movers in Las Vegas NV. In all fairness, moving companies’ storage services price go through the roof more often than not. When you calculate the joint moving expenses which may include additional services such as loading, unloading and packing, the overall relocation cost skyrockets. Given they come in a wide array of sizes, you get to choose the one you can benefit from using most. Consequently, you should make sure not to relocate too many items. By and large, you can consider the portable moving containers’ price range. The prices vary depending on their size. So, you can pick the most cost-effective one without any additional costs. One of the ways to save money during relocation is a DIY move. It means you will go through great lengths to move single-handedly. The most fundamental aspect of DIY moving is truck rental. Before grabbing the keys, you need to make cargo estimate so that you know which truck is the most appropriate one in terms of size. Since there are variations in their loading capacity, you need to be informed on your items’ exact weight to reduce the risk of your possessions colliding or falling from the truck due to lack of space. One of the downsides of truck renting is a fuel fee. A long-distance move requires making frequent stops to add fuel. An overall cost hence might be huge. However, it is questionable if it is more expensive when compared to moving quotes Las Vegas. How to save money on a long-distance move? Truck rental is one of the ways. Shipping tends to be the most affordable interstate relocation method. Partially, this is because you don’t have to use the entire container, but just a part of it. This makes the price plummet. If you don’t have the time to deal with moving chores and paperwork, you should think about freight forwarding. That way you’ll have your items relocated door-to-door. Isn’t it very convenient to load your belongings in the port of origin and have them shipped to your new address? If you are keen on avoiding paperchase, opt for freight forwarding. Typically, it’s either the shipper or the freight forwarder who tackles all the relevant documents such as a commercial invoice, the bill of lading, the cargo receipt and customs clearance documents. So, this is a time-saving relocation method. If you want to save money on a long-distance move, you should keep the calendar in mind. It is better to avoid specific moving dates such as holidays. Planning goes a long way when it comes to reducing moving costs. In comparison, a last-minute move dramatically empties your nest egg. Avoid the peak of the moving season if you wish to save money on a long-distance move. For example, summer tends to be the busiest time of the year to relocate owing to the end of the school year and the beginning of the part-time job season. Consequently, it’s the least affordable period of the year. In the case of the family move, you should pay attention to your kids’ school timetable. If you wait for the end of the school year, they will settle in more comfortable given they are not under stress. Can cost an arm and a leg. To avoid wasting money, ask the next-door grocery store employees to lend you some cardboard box. They must have a plethora of them. Also, check with your friends if they have moving supplies they no longer use. Ask them to take a look at the basement or an attic just in case. You might have a pot luck. People often forget what they have been hoarding. You might benefit from using it when it comes to packing your household. Take advantage of online shopping and look for packing supplies on the Internet. Typically, the prices are lower if you make an online purchase. Also, buying in bulk may come in handy when carrying out a long-distance move. Moving on a budget is not a piece of cake. It’s quite the opposite of it. That’s why you need to choose inexpensive alternatives when moving long-distance. Instead of hiring a moving company, consider a DIY moving. Also, what’s your opinion on a truck rental? Would you dare drive one for so long? How do you cope with paperwork? Would you rather someone else does that on your behalf? Are you eager to spend the money or not entirely? These all the crucial issues you need to take into consideration when moving. If you miss any of them, it might come back to bite you. So, better safe than sorry. Take a piece of paper and come up with cheaper moving alternatives.